The Centre for Integrative Biology of Toulouse launches its annual international call for the recruitment of outstanding group leaders. Note that the next CBI call for recruitment of talented PhD students is coming soon. 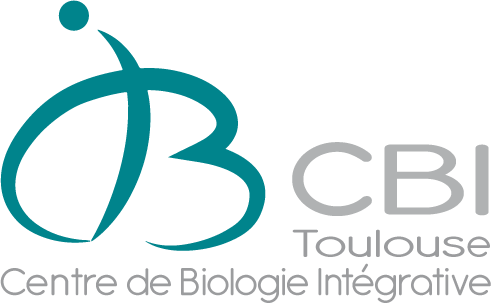 Founded in 2016, the Centre for Integrative Biology of Toulouse (CBI) is an institute regrouping five research centers in the Biological Sciences, at the University of Toulouse and the French National Centre for Scientific Research (CNRS). It is located in Toulouse, southwest France, on the main Campus of the Université Toulouse III-Paul Sabatier, which offers a multidisciplinary education in the fields of science, health, engineering, and technology, developing one of the most important scientific research clusters in France. In 2019, the CBI will benefit from a brand new building, in line with its expansion policy. The CBI currently brings together more than 400 scientists in 40 internationally recognized research groups that aim to foster research leading to the elucidation of fundamental aspects of the structure and function of complex biological systems, and ranging from individual molecules to the whole organism and population. Within a highly collaborative scientific environment, researchers have access to either in-house or nearby state-of-the art technological facilities, including photonic and electron microscopy, a computer cluster for large data analysis and simulation, animal facilities, deep sequencing and proteomics. The CBI is looking to complement/reinforce its community of research groups using model organisms to address questions concerning the biology of microorganisms, including phages, bacteria, archaea, and unicellular eukaryotic parasites. Existing groups are developing an integrative analysis of a variety of key and fundamental aspects of these microorganisms, including genetic transformation, protein trafficking and organelle biogenesis, RNA and protein quality control, genome dynamics, evolution and genomics, and gene regulatory networks. Successful candidates will be provided with office and lab space for 8-10 people. They will benefit from a collaborative scientific environment, with access to in-house state-of-the art technological facilities, including photonic and electron microscopy, a computer cluster for large data analysis and simulation, and animal facilities housing bees, Drosophila, zebrafish, Xenopus and mice. Deep sequencing and proteomics facilities can be accessed in nearby institutes. Outstanding candidates, of any nationality at early-career stage, are expected to develop competitive, independent research and meet the required criteria for successful application to national and international funding (ATIP Avenir, FRM, ANR “Jeunes Chercheurs-euses”, ERC-StG or CoG, or equivalent installation grant), and to a position in a French research institution (University of Toulouse, CNRS or INSERM). Senior researchers holding a permanent position from these institutions are also welcome to apply. 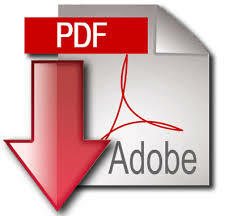 Applications (about 10 pages, in English) should be sent before June 11, 2019, as a single file named LASTNAME_CBI2019.pdf to cbi.call@univ-tlse3.fr and should include (i) a cover letter, (ii) a CV, (iii) three reference letters and (iv) a summary of achievements and future research interests. Late-September: Outcome of the selection process.